HemingWeigh Insulated Lunch Bag – Durable Lunch Box with Drink Cooler Compartment. 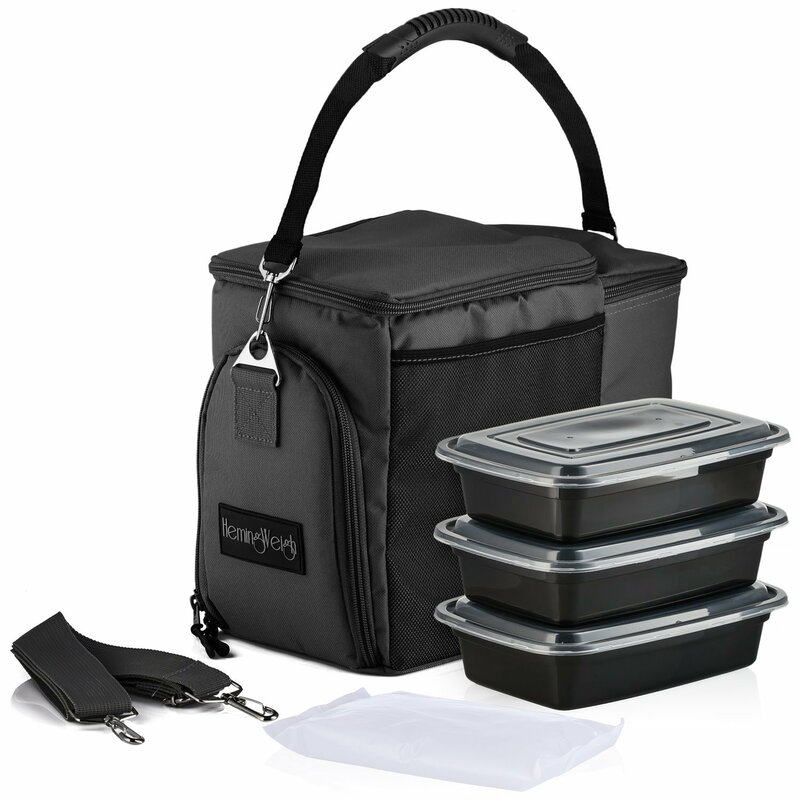 Detachable Shoulder Strap + 3 Plastic Food Storage Containers + Ice Pack Included. (Black). Tote your lunch with convenience and style with Hemingweigh’s high-quality and versatile lunch bag. It is the ideal lunch box for adults and kids alike and makes a great reusable companion on your way to the office, school or even as a golf cooler bag! If you’re constantly on the go then this is an affordable option that you don’t want to leave home without. You can now enjoy your home-made meals wherever you go without worrying about soiled food. 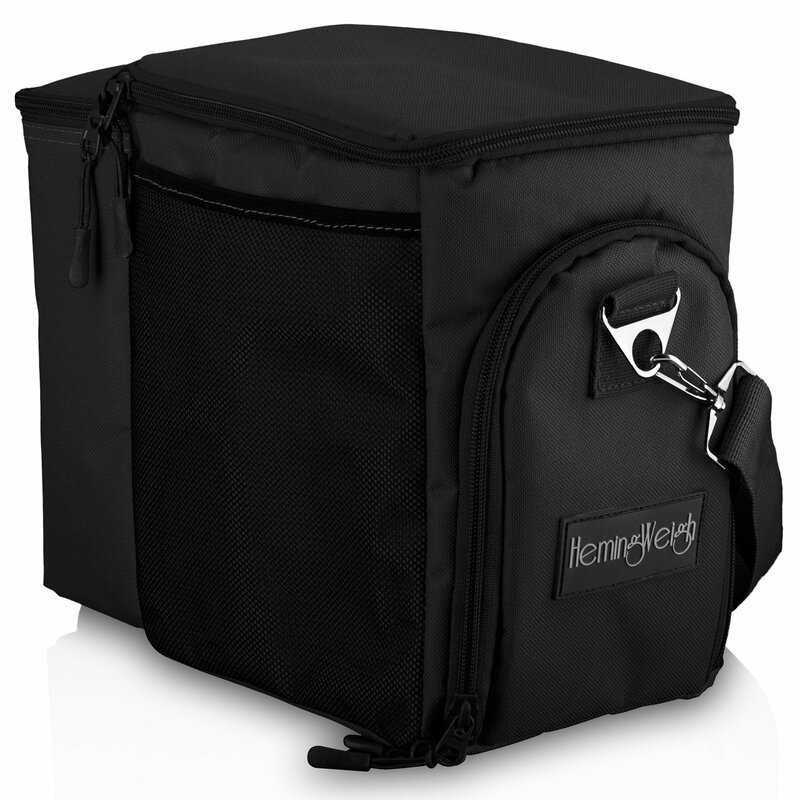 Hemingweigh’s cooling bags are the epitome of quality and convenience. They were constructed high density thermal insulation and premium heavy-duty material the will last for years to come. We’re here if you need us, buy us worry free! ROOMY ENOUGH TO HOLD EVERYTHING YOU NEED: The portable cooler bag comes equipped with a large roomy main compartment and a fully insulated pocket for drinks. 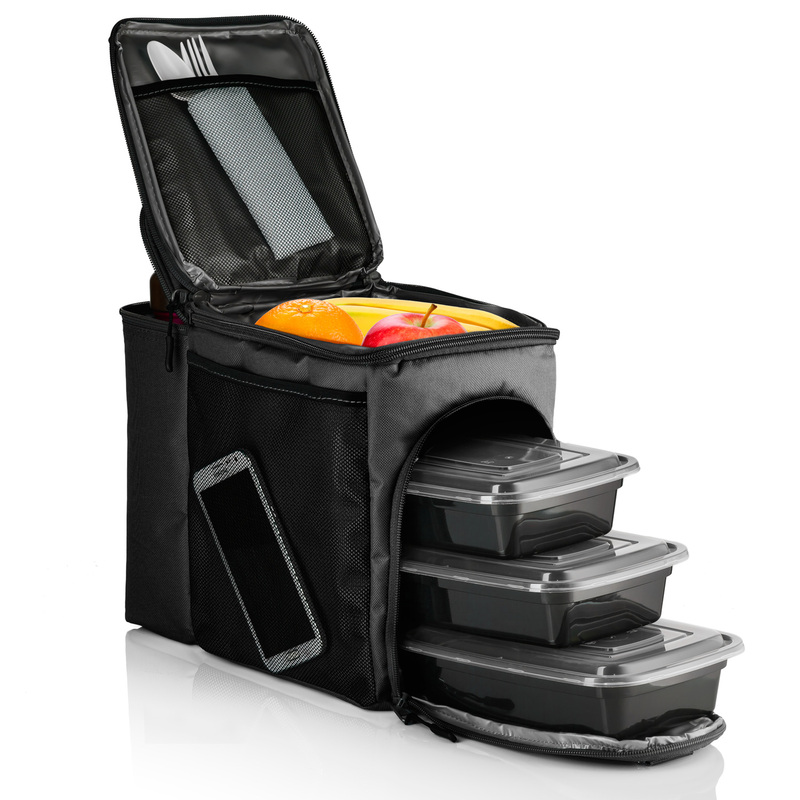 It also features a top storage compartment and many interior and exterior pockets for small items such as utensils. HIGH DENSITY THERMAL INSULATION: As a customer favorite, Hemingweigh’s insulated lunch box will help you savor the flavor of your home cooked meals wherever you go. 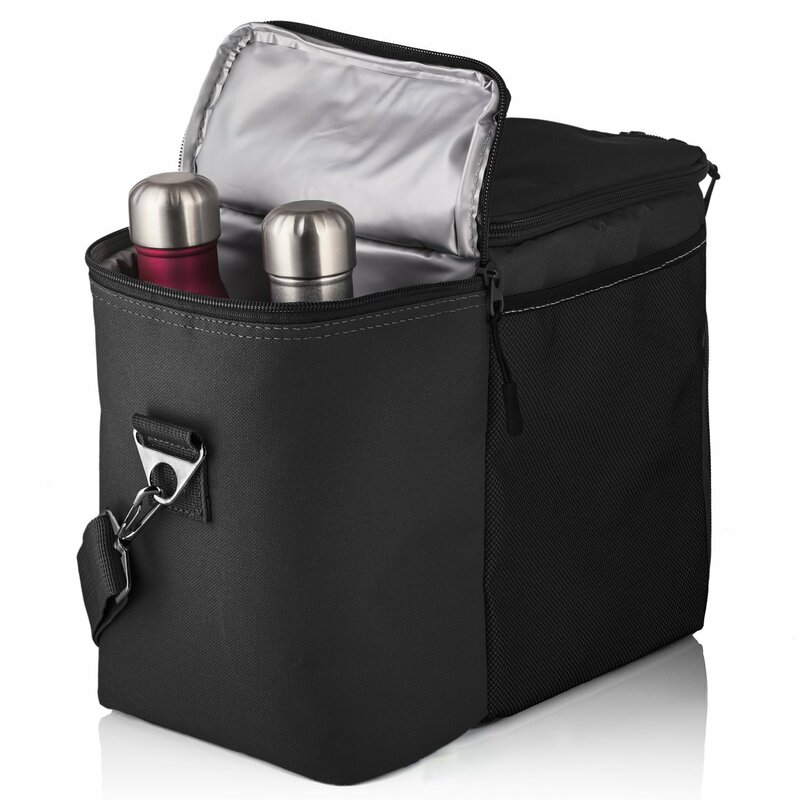 Its high-density thermal insulation will keep drinks and food chilled for hours. GUARANTEED: At Hemingweigh, good is never good enough. We want our customers to be completely satisfied, and therefore we offer a 30 day money back guarantee for every product that leaves our store. If you aren’t completely satisfied with your purchase, just send the product back our way and we promise to make it right!